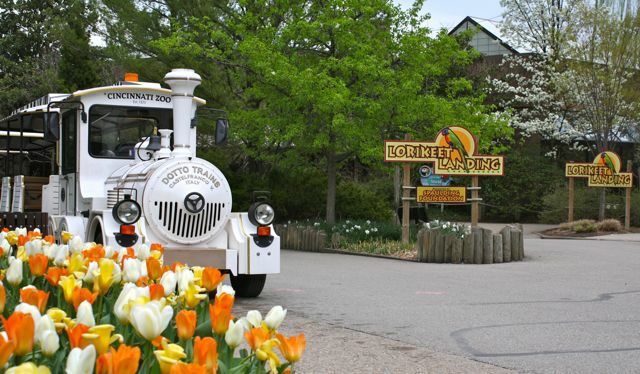 It’s April in Cincinnati and that means it’s time for “Tunes and Blooms” at The Cincinnati Zoo! The Cincinnati Zoo hosts their “Tunes and Blooms” event every Thursday night in April (weather permitting). Each week features live bands set amongst the incredibly gorgeous spring blossoms at the Zoo. Tunes and Blooms is the perfect way to enjoy an evening out, admiring their gorgeous spring flowers and listening to some great local bands. The local bands at Tunes and Blooms vary each week but they always “rock the house”. The event draws a great mix of people – young families, singles, married folks, etc. And it makes a great date night too! The zoo sells food and drinks BUT you can also bring in our own food too. You can pack supper / snacks and bring it in with you. You are not permitted to bring in any alcohol but they do have beer available for purchase. Bring a chair and/or blanket if you’re going to stay for the evening. There’s plenty of space to set up camp to enjoy the bands. The entire zoo is not open for Tunes and Blooms but you will be able to walk around and see some the animals. The music starts at 6pm but you can get into the zoo starting at 5pm. 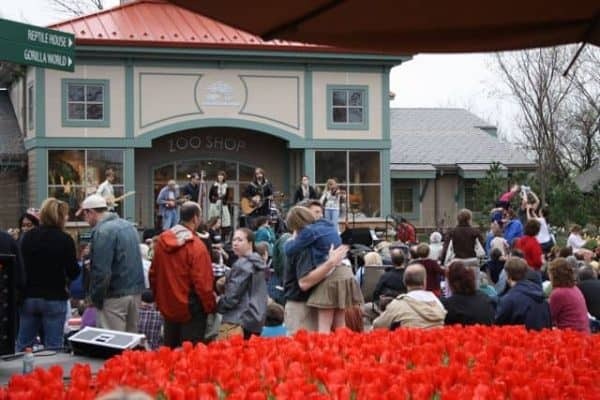 Admission to the Cincinnati Zoo after 5pm is free every Thursday in April for Tunes and Blooms. Parking is $10 (current as of 2019). 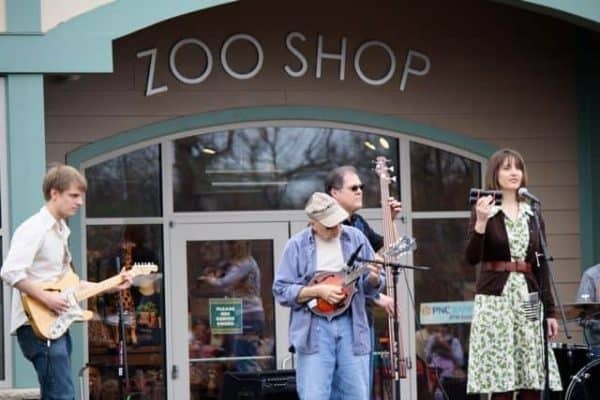 Tunes and Blooms is at the Cincinnati Zoo, located at 3400 Vine Street. You can visit the Zoo’s site for the complete Tunes and Blooms schedule.